DETROIT - Light showers are still swirling around Metro Detroit leaving wet roadways and slippery conditions through 8 or 9 a.m. Most of the wet weather is drizzle to light rain and we should see precipitation coming and going through the morning drive with morning temps in the upper 30s to low 40s. 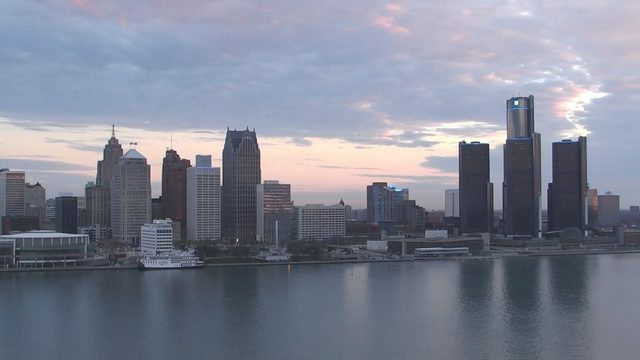 You can expect some sunshine coming back to SE Lower Michigan and Southern Ontario later this morning and into the afternoon as highs take aim at 50°F later today under partly sunny skies and lighter winds NW 5-10 mph. 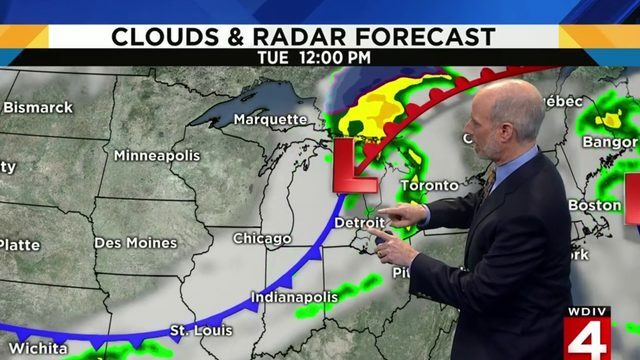 A weak cool front will pass through Metro Detroit Friday morning bringing hit and miss rain and snow showers. These will be light and we don’t expect any snow to stick around, but it will likely be a little slick again on the roads Friday morning. Highs will struggle a bit after the cold front passage with highs staying in the upper 30s north and lower 40s for most. The breezes will pick up NNW 10-25 mph making it feel cooler all day so you’ll need the thicker coats tomorrow and hopefully that’s it. The weekend ahead looks fabulous for all of SE Lower Michigan and Southern Ontario as we expect tons of sun. 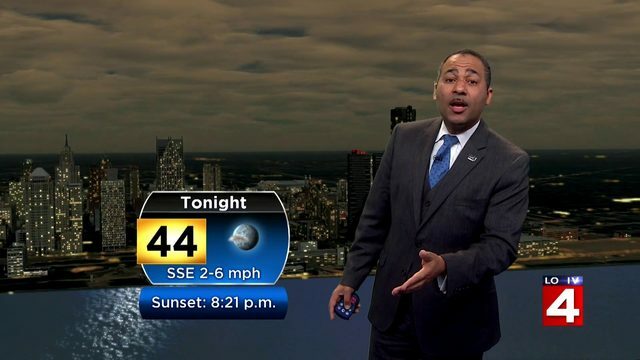 Highs will be around 45 to 50 degrees Saturday under sunny skies and lighter winds than Friday WSW 5-15 mph. As we get into Sunday, highs will be well into the mid 50s with partly cloudy skies by the afternoon and a few neighborhoods flirting with 60°F. We do have a chance for a little wintry mix to rain early Monday which will fade away into the afternoon and temps stay slightly cooler Monday and Tuesday in the upper 30s to low 40s. We will warm nicely midweek.